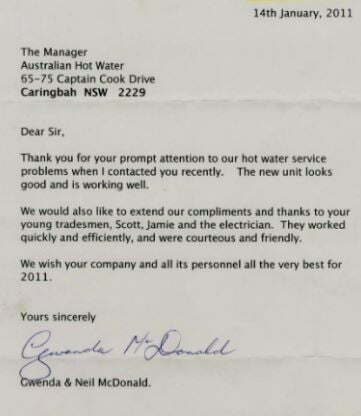 It was done really good by Mark from Australian Hot Water West. He was prompt and provided a great service. I am happy to recommend him.